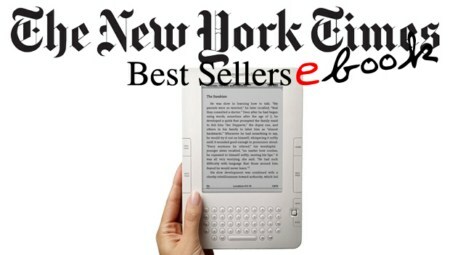 New York Times Best Collection - 09 March 2014 | Free eBooks Download - EBOOKEE! Posted on 2014-03-21, by pherick. The New York Times Best Seller list is widely considered the preeminent list of best-selling books in the United States. It is published weekly in The New York Times Book Review. The best-seller list has been ongoing since October 12, 1931.Weekly List Of Updated ebooks large Collections Including Both Fiction and Non-Fiction. 1. CONCEALED IN DEATH, by J. D. Robb. 2. PRIVATE L.A., by James Patterson and Mark Sullivan. 3. THE GOLDFINCH, by Donna Tartt. 4. SYCAMORE ROW, by John Grisham. 5. THE INVENTION OF WINGS, by Sue Monk Kidd. 6. THE HUSBAND'S SECRET, by Liane Moriarty. 7. KILLER, by Jonathan Kellerman. 8. VAMPIRE MOST WANTED, by Lynsay Sands. 9. ONCE IN A LIFETIME, by Jill Shalvis. 10. STILL LIFE WITH BREAD CRUMBS, by Anna Quindlen. 11. LIKE A MIGHTY ARMY, by David Weber. 12. MOVING TARGET, by J.A. Jance. 13. ORPHAN TRAIN, by Christina Baker Kline. 14. THE EX GAMES, by J.S. Cooper and Helen Cooper. 15. GONE GIRL, by Gillian Flynn. 1.THE MONUMENTS MEN, by Robert M. Edsel with Bret Witter. 2.LONE SURVIVOR, by Marcus Luttrell and Patrick Robinson. 4.TWELVE YEARS A SLAVE, by Solomon Northup. 5.KILLING JESUS, by Bill O'Reilly and Martin Dugard. 6.DAVID AND GOLIATH, by Malcolm Gladwell. 7.DUTY, by Robert M. Gates. 8.THE SIXTH EXTINCTION, by Elizabeth Kolbert. 9.THINGS THAT MATTER, by Charles Krauthammer. 11.YOUNG MONEY, by Kevin Roose. 12.HEAVEN IS FOR REAL, by Todd Burpo with Lynn Vincent. 13.LEAN IN, by Sheryl Sandberg with Nell Scovell. 15.THE WITNESS WORE RED, by Rebecca Musser with Bridget Cook. No comments for "New York Times Best Collection - 09 March 2014".